Misplaced books will be a thing of the past! 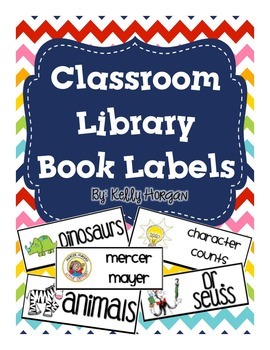 Get your classroom library organized this year with these easy-to-read labels! ...and I added some of my own labels for books that didn't fit into the previously purchased category labels. When I moved down to teach kindergarten, I realized I needed labels for the books to match the book bin labels-or I could stay at school every night organizing misplaced books...so, I decided to make my own matching labels! These labels are designed so that you can print them directly onto Avery return address labels (30 to a page). I hope you enjoy them in your classroom as much as my students and I do!